As Olympians were prepping for the 1964 Tokyo Olympics, it’s quite possible they were training, cooling down or relaxing to the song, The Girl from Ipanema. The Brazilian Bossa Nova hit was released in the US on July 25, 1964, went to number one in the US peaking at number five for the year, and charted highly in markets all over the world. The music from the song, often one of the first examples that come to mind when one thinks of elevator music, was composed by Antonio Carlos Jobim for a film. The lyrics were composed by Vinicius de Moraes, as he sat at a café on the beach of Ipanema, a swanky part of Rio de Janeiro. And indeed, there is a girl from Ipanama who caught the eye of Moraes as she walked by the cafe every day – Heloisa Eneida Menezes Paes Pinto. 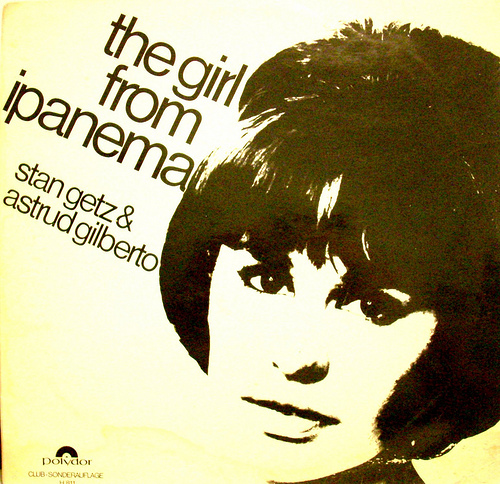 Astrud Gilberto, who sang the bossa nova classic, was selected for the English-version of this song because she happened to be one of the few Brazilians who could speak English decently. And thus was born one of the shining symbols of Brazil – The Girl from Ipanema – said to be the second most recorded pop song in history, after Yesterday, by The Beatles. Posted in Other Olympics, Others, Pop Culture, Rio Olympics, Tokyo 1964 and tagged Antonio Carolos Jobim, Astrud Gilberto, Bossa Nova, Heloisa Pinto, The Girl from Ipanema, Vinicius de Moraes. Bookmark the permalink.